Gardeners use pot containers to plant anything from vegetables to herbs, to flowers. Pot containers are handy when there is limited space for larger gardens, so even town and city folks can use them. But sometimes these plants have to be repotted to keep them healthy. 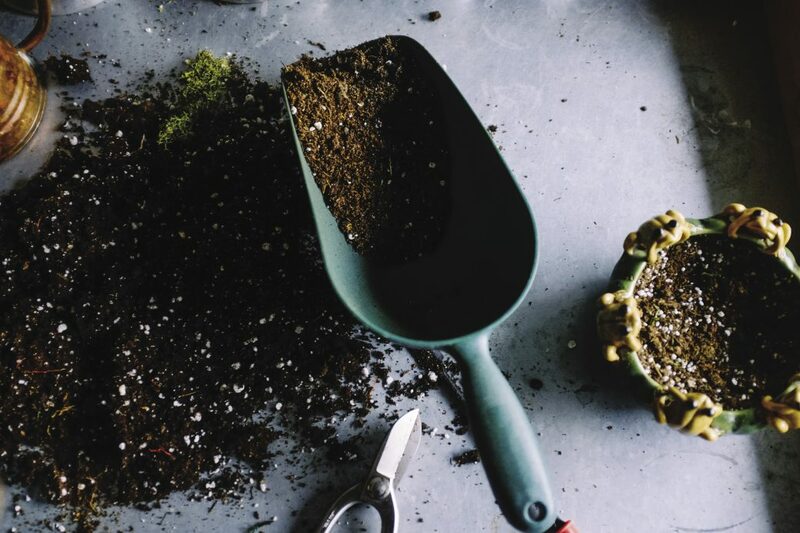 Transferring a plant to a bigger pot, or refreshing the soil in the same pot is necessary for continued health and vigor for nearly all container plants, including trees, shrubs, perennials, water plants, and bulbs. Cramped, tangled roots, stunted growth, few flowers, or an excess need for water are signs that a plant is in need of repotting. An older plant doing poorly has pot-bound massed roots in need of trimming, space, and fresh soil. A large, young plant whose roots are coming out of the drain hole is ready for a larger pot. The best time to repot a plant is when stress will be at a minimum, either prior to new growth in spring, after it has finished active growth and flowering, or when dormant. Repot deciduous plants after their leaves drop: repot evergreens in late fall or early spring. For flowering plants, repot a season or two before flowering or after the blooms fade. Remove the plant carefully by tilting the container and gently tugging on the main stems as you support the foliage. If no movement occurs, slide a knife down the sides to loosen the roots. Gently tease apart tight roots, removing soil as you work. Prune back fibrous roots by about one third. Repot in a larger container (usually 2 to 3 inches wider) for young plants that need space to mature. 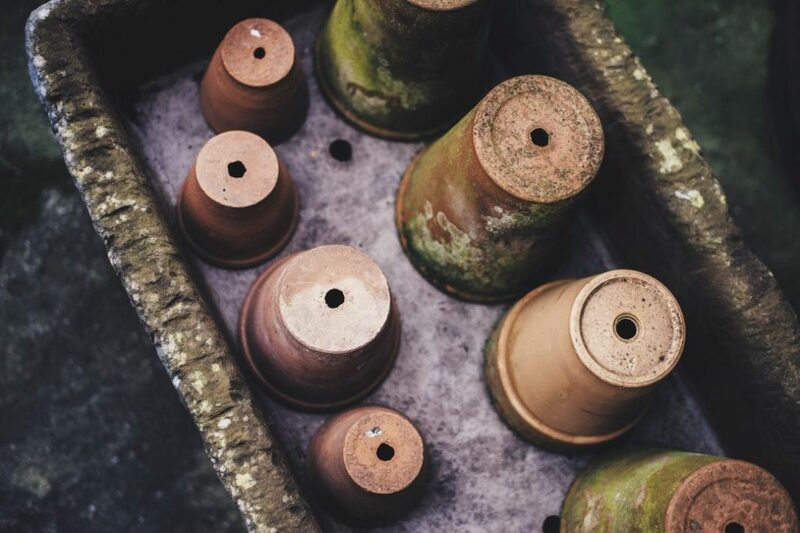 If using a clay container, soak the pot overnight to reduce stress on the plant. If your plant has reached a mature size, repot in the same container adding fresh soil. Add fresh, lightweight sterile soil mix in the bottom of the pot. Position the plant in the center and spread out the roots. Add more soil around the sides, gently working it in between the roots and firming with your finger. Water well and keep plants shaded for a week. For an extra measure of success, thoroughly scrub out the old container with detergent before you repot. Remove any crust around pot rim, leftover soil, and roots. You may want to use a 10 percent bleach solution to sterilize the container. Inspect plants to see if it is potbound or roots are growing out of the drain hole. Check if the pot is in good enough shape to reuse. Water well. After an hour, tilt the pot on its side and pull the plant free, holding the main stem as you gently tug. Run a knife along the sides to free stuck roots. Loosen roots, especially those growing in a circle around the bottom. Prune off broken roots and cut back the longest roots by about a third. Cover drainage hole with pot shards, add soil and replace plant. Center and level plant. Backfill and firm the soil with your fingers. Water well. With the pot on its side, gently tap container against a hard surface to loosen soil before you slide out the root ball. Gently pull apart the roots. Trim off broken roots and cut back any overly long roots by about one third. In a pot two inches larger in diameter, replant using fresh soil mix in bottom and around the sides. Water well. During repotting process, some stems may become broken or damaged. Prune away these stems, cutting just above a leaf bud so that you do not leave any dead wood. Prune lightly as needed to shape the plant. Once you see signs of new growth, the plant is on its way to renewed vigor. Feed it using a weak solution of liquid fertilizer every two to three weeks, especially before flowering. Too frequent or too strong a fertilization program will lead to an abundance of growth, especially on permanent plants, which will mean early repotting. Reduce stress on newly repotted plants when warm weather hits by giving them ample water and plenty of shade. Move them to a shady spot, or construct temporary shade using stakes and some sort of fabric. Roots must stay moist. Also keep plants out of the wind which leads to dry soil.